In the spring of 1960, the plane carrying General Charles de Gaulle, President of France, landed in Ottawa. It was the third visit by this colourful personage to Canada. After Ottawa and before Toronto, the General was supposed to visit Quebec, the part of the country with which he wished to establish sustained relations. Upon his return to France, de Gaulle confided in André Malraux, his Minister of Cultural Affairs: I believe that there is a strong French potential in Quebec, please take care of it. Shortly thereafter, Malraux met with Georges-Émile Lapalme, Vice Premier and Attorney General of Quebec, while he was in Paris. The two men, who felt strongly about the importance of culture, immediately entered into dialogue. From this first meeting the idea was born of opening up a centre for Quebec in Paris with the mission of developing economic and cultural ties with France and establishing exchange and cooperative programs. 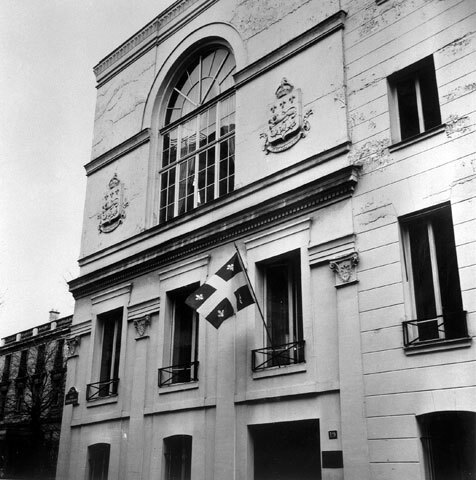 The idea became reality very quickly, since on October 5, 1961, Quebec Premier Jean Lesage was in Paris for the inauguration of what was to become the Délégation générale du Québec in Paris. The federal government did not much care for the special friendship between France and Québec, reminding Quebec that foreign policy issues were the exclusive domain of Ottawa. To thwart Quebec's initiative, in 1965 Ottawa signed a framework agreement with France on scientific and cultural exchange between the two countries. On the basis of this agreement, a Canadian province could enter into agreements with foreign countries, but must first obtain approval from Ottawa. Quebec ignored this order, deeming it legal for the province to conclude agreements with foreign authorities in matters under its jurisdiction. The war of flags between Quebec and Ottawa had begun. 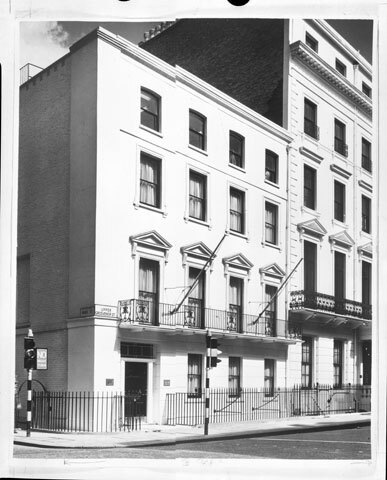 After the Maison du Québec in Paris, the Government of Quebec inaugurated the Quebec House in London in 1963 and a trade office in Milan (Italy) in 1965.